France is truly a dinner party culture. Up until my sojourn in Paris, I wasn’t really versed in the art of the dinner party. Southern Californians do dinner parties, but not very often (we tend to go to restaurants instead of private homes) and when we do them they can be very casual, barbeque-style affairs, outside by the pool. In Paris, entertaining really is a part of life. Madame Chic and Madame Bohemienne entertained guests at least once a week. And I’m not talking about having the neighbor over for a cup of tea. They both threw elaborate dinner parties frequently. 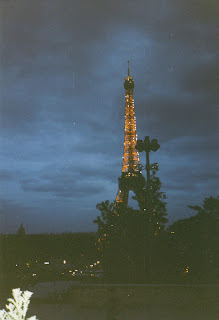 In fact, I attended more dinner parties in Paris than I have in my entire life. Madame Chic and Madame Bohemienne had very different styles when it came to their dinner parties. Madame Chic’s were always an elegant affair- classical music, apéritifs in the salon beforehand, delicious 5 course meal to follow… after that a little after dinner smoking (mainly from the men), digestifs and more classical music. Her guests were usually conservative, well respected upper-crust types. Madame Bohemienne, on the other hand, had more wild, passionate affairs. Her guests were often from the artistic world. Whereas Madame Chic’s aperitifs consisted of whisky or port, Madame Bohemienne loved champagne cocktails . Her dinners were not elegant five course meals but usually consisted of three more casual courses- and afterward… well I never could really remember what happened afterward- we were having that much fun. I like each style equally and always marveled at how these women would frequently pull off these successes without seemingly batting an eyelash. I think the key to their success was confidence- major confidence. Those women were the masters of their domains- their signature was in every last detail. Everything from the music to the food to the guests to the ambiance was by their design and they genuinely seemed to enjoy every moment. Entertaining seemed so natural to them. There were no harried freak out sessions in the kitchen or stressed out scenarios over the food. If something went ‘wrong’ you would never have known it- their capabilities as hostesses was so smooth they were practically zen-like. Your guests (presumably) like you very much and want you to succeed. Whatever you do, do it with style. Calm down, let go and most importantly… have fun! Entertaining isn’t about being Martha Stewart perfect- it’s about enjoying the company of your guests and making them feel welcome. Won’t you stay tuned for #7? I used to be the type that would park my car as close to the grocery store entrance as possible to avoid walking any further than I had to. In my mind, exercise was for the gym only. Do you remember my story about my first visit to Madame Bohemienne? The enormous flight of stairs I faced before reaching her front door? My disbelief at how she didn’t have an elevator in her building… Did she and her sons climb this mountain of stairs everyday- several times a day- to get to their home? Yes, they did. Because in Paris, exercise is incorporated into your every day life. French people walk everywhere. They climb stairs in lieu of taking the elevator (a lot of the time they have no choice). If they do drive, they are not hell bent on getting the closest spot to the entrance. They are really conscious about incorporating exercise into their day, not necessarily because they have more energy than us, but as a necessity to maintaining those famously svelte figures. And as for those famous figures… it is important here that I explain the mindset and philosophy behind fitness and figures in the French mind. French women really don’t have a negative mindset with regards to their bodies. As I have mentioned before, if they have eaten a particularly decadent dessert, they are enjoying it, not agonizing over how fat it will make them. They do not sit and plot about how they’ll have to work in an extra kickboxing class at the gym to atone for their culinary sin. Rather, they have made a silent and unspoken agreement with themselves that they will maintain an active life- every day- so that they can enjoy culinary decadence whenever they’d like, without guilt (A good thing to keep in mind for Thanksgiving this Thursday). Madame Chic demonstrated this really well. Famille Chic only had one car and rarely used it. Monsieur Chic commuted to work and Madame Chic walked everywhere she needed to go. For shopping, she would bring along a cart and fill it with each shop she visited. And a note on that… Madame Chic preferred to visit specialty shops (like the local patisserie, chatucerie or boulingerie) instead of going to one giant supermarché probably for two reasons- the first being that the quality of goods she got at the specialty shops was superior to what one would find in a supermarket and the second being that she got more exercise out of going to more than one shop. My life now, back in Santa Monica, is definitely an active one. I walk all over the city (with baby and Gatsby in tow, of course)- to go shopping, for groceries, to meet friends and even to go to work. I also practice yoga and qi gong and try to take the stairs in lieu of the elevator whenever I can. Not only does it keep my figure on track (and has definitely aided in my losing the majority of baby weight I put on), but it really makes me feel alive… and decidedly not lazy. Won’t you stay tuned for #8? 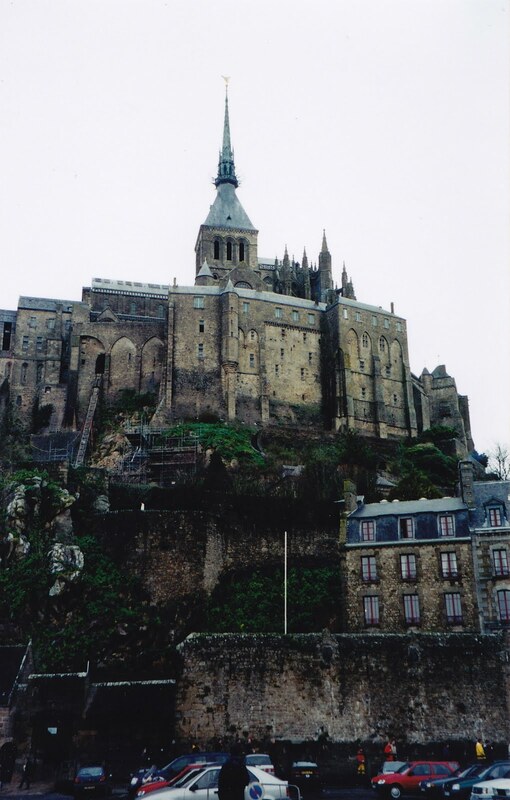 You’d never know it based on my prior posts, but I didn’t actually go to Paris to party, gallivant and observe lifestyle traits, but rather to study and further my education. I studied French, Theatre and Art History. My classes were unique in the sense that on Monday we would discuss Manet’s Dejeuner sur L’herbe in Art History class and on Wednesday we would go see it in person at the Musée D’Orsay. 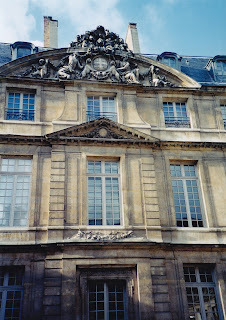 For Theatre we would read a play as an assignment- such as Molière’s Le Bourgeois Gentilhomme and then the following week we would go see the live production at La Comedie Française. As you can imagine… I was in heaven. The total immersion into the arts was an exquisite experience for me. 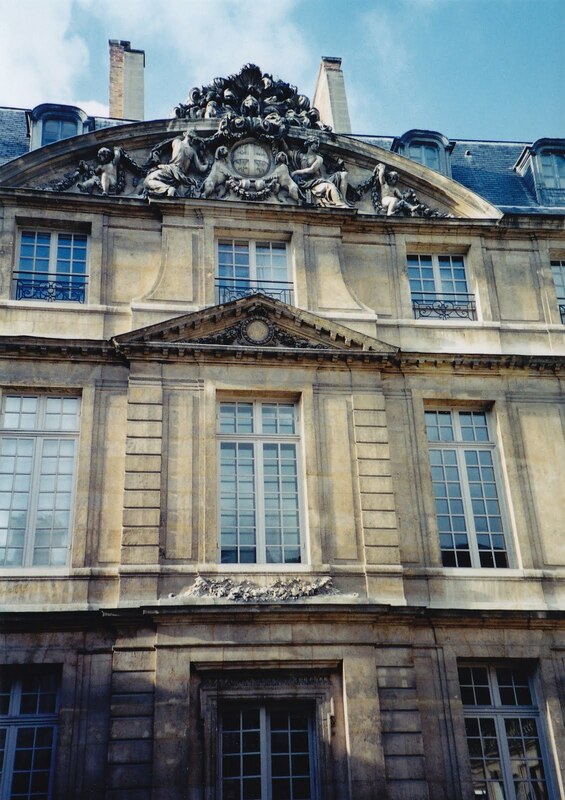 Not only were we shown the world famous institutions such as the Louvre and the Paris Opera but our professors introduced us to smaller, niche museums and theatres. One experience I’ll never forget was seeing Ionesco’s La Cantatrice Chauve (The Bald Soprano) at a tiny theatre that only sat 20 people in the audience. We were so close to the actors- it practically felt like we were onstage ourselves! My classes in France inspired me to seek out the arts and really incorporate them into my life- seeing the secret midnight quartet perform at the Louvre, for example, was particularly satisfying. If you live in a large city and have access to a lot of cultural activities take full advantage- attend the symphony, the theatre, the ballet, the opera. Visit art galleries. Listen to writer’s talks. Reacquaint yourself with a musical instrument. So many of us learned a musical instrument as children. For me it was the piano and saxophone. (Yes! Saxophone- I went through a jazz phase). I recently picked up the piano again and take so much joy in playing. Join a book club or your local writer’s group. Write that novel you’ve always wanted to write. My writing teacher and mentor Alan Watt has recently published his book The 90 Day Novel. It is the ultimate writer’s tool to help you get the words on the page. Are you familiar with the idea of a salon? A salon is described as gathering of people in a fashionable household. These people are usually of intellectual or artistic distinction and get together to amuse each other with their pursuits. Well, I love the idea of holding an artistic salon in one’s own home. I would love to know… how do you seek out the arts? Won’t you stay tuned for # 9? I am not exaggerating when I say Famille Chic’s home was completely clutter-free. There was no pile of mail waiting to be sorted through on the kitchen table. There was no accumulation of shoes and coats by the entryway door. There were no remote controls, game controls, errant CDs and other entertainment paraphernalia hanging around the living room. Monsieur Chic’s slippers weren’t in the middle of the living room floor. There was no diaper bag on the coffee table (OK now I am just describing my own home). In short, Madame Chic kept her home completely clutter-free. Everything had a place and in the entire six months I lived with them I never saw anything out of place. I also didn’t see Madame Chic running around like a maniac trying to pick up after her family and keep her house in order (and she did not employ a cleaner). She was the most calm and collected housewife I have ever seen. France is not a heavy consumer society. They do not constantly buy things and bring them into the home so they have less stuff to manage and ultimately find a place for. French women tend to do the majority of the housework (France is a bit behind in this area). But having said that, French men seem to be very respectful of the home and do not leave a mess. Monsieur Chic and their son never left a mess around the house- I have a feeling that Madame Chic trained them early on the art of maintaining a clutter-free home. They simply didn’t leave stuff everywhere or anywhere for that matter. They lead very disciplined lives with a lot of structure- they love a routine and rarely stray from it. So, for example, you would never see Monsieur Chic leave his pipe on the end table one night and on the kitchen table the next. He had a place for his pipe and it went in the same place every single night after he used it. No exceptions. The French love to live well and living in constant clutter is the antithesis of living well. Clutter is probably the domestic equivalent of snacking – it is so not chic. Finding the path to a clutter free home is one of my life’s missions and trust me, the minute I figure it out I will share it with you. Now that we have a baby I am dealing with a whole slew of new clutter issues (like I said, the diaper bag is currently on our coffee table.) But for now, I am giving myself a free pass to figure it all out. A filing system to deal with the mail. Recycle the junk mail immediately upon checking the mail and store the bills and important correspondence in a receptacle or file folder (again, hidden away) to deal with at a later date. Furniture that doubles as storage. We just purchased a large tufted ottoman that we are using as a coffee table. We love it because it opens like a trunk and stores all of our remotes, game controls and DVDs. …and lastly. When it comes to things like mail and dishes, it is best to deal with them immediately before they pile up and get out of control. I would love to know… how clutter-free is your home? Won’t you stay tuned for #10? 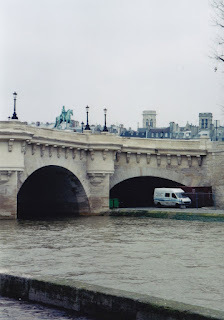 A typical Parisian bridge over the river Seine is pictured above. Do you spot the statue of the man on his horse? Those sort of ornate statues are laced all around the city of Paris... beautiful. 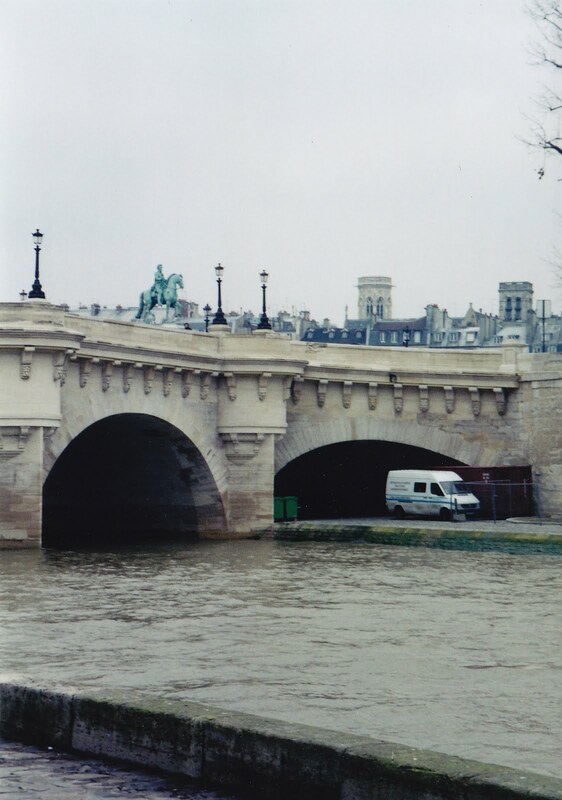 It’s not for everyone… and certainly not everyone in Paris was like this… but Famille Chic’s life really was a formal affair- and I loved it. Living in France I was pleasantly surprised to find Famille Chic was the furthest from casual a family could be. Actually, I will. Do you know that every evening for the entire six months I lived with them, when at the dinner table, they insisted on serving me first as I was the female guest of honor? Then Madame Chic was served, then her husband and then their son. At first, I felt overwhelmed by the attention and pomp and circumstance of it all. But once I got over the initial surprise, realized that they weren’t putting on airs for me and that was their ‘normal’, I really embraced their customs. Some people might equate formal with stuffy but that wasn’t the case at all with Famille Chic. They unapologetically lived the old fashioned way- with style and panache. Play classical music in the background as you go about your day. It has a way of making whatever you do feel so much more important. Get dressed up for dinner. Write a letter instead of sending an email- think how surprised the recipient would be! Subscribe to a newspaper rather than reading your news online. It feels so much more formal to enjoy coffee and a biscuit while reading The Financial Times (plus you learn quite a lot too). When entertaining, go all out (whatever that means for you). I recently had a playdate for some friends and our babies- a raspberry tart from Trader Joe’s (although I didn’t tell them that’s where it was from) looked beautiful on a fancy cake stand. Tea was out of proper cups and saucers- not mugs. Now this may not sound like much of an effort- but for a new mom who is sleep deprived- trust me, it is! And as always, it is better to be overdressed than underdressed (remember the baby shower I went to?) so when in doubt, go all out. I would love to know… how is your life a formal affair? Won’t you stay tuned for #11? The above picture is a close up of a typical building in Paris- I just love the architecture, the attention to detail and grand windows!